The Epson TM-U220 Receipt Printer series features speedy (4.7 lines per second), high-quality two-color impact printing optimized for high-volume retail and restaurant point of sale operations. 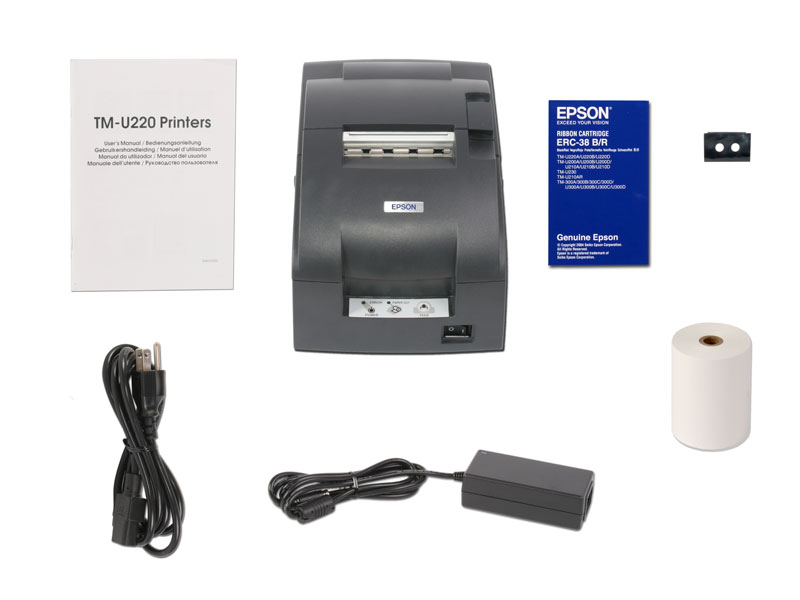 Compared to its predecessor, the TM-U200, the TM-U220 receipt printer is 30% faster, sports a 4k buffer vs the original 1k, and comes with a universal power supply. 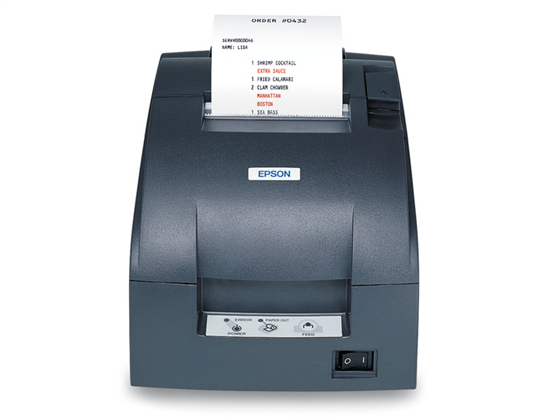 Other TM-U220 distinguishing qualities include the exclusive Epson Connect-It interface, adjustable paper widths, real drop-in paper loading, "near-end" and "paper-out" sensors, and a 2-year warranty. 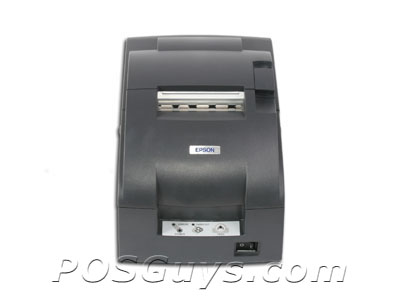 Tech Note: The Epson TM-U220 uses TM-U200 printer drivers. Why is my USB printer not printing a Windows test page? When installing a USB Printer you should select the USB port that the printer is plugged into, not the LPT1 port. 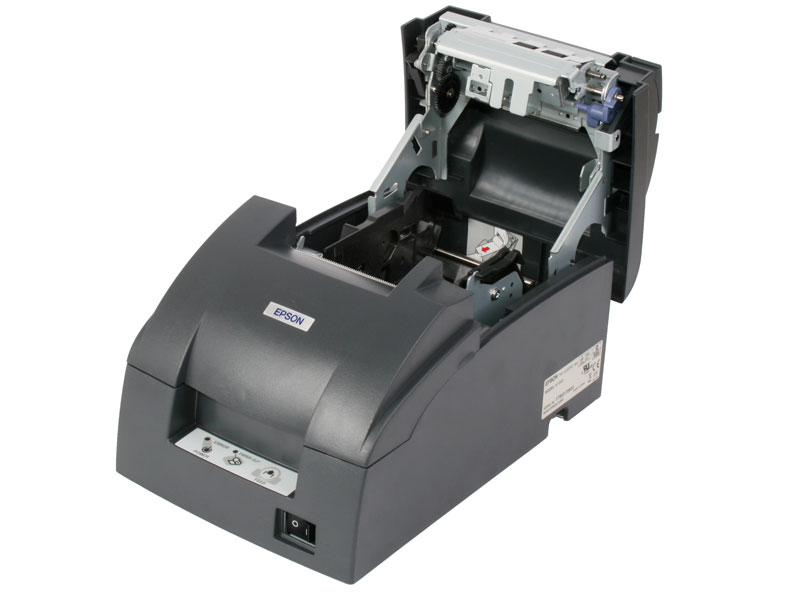 You may need to select several USB ports (USP001, USB002, USB003) before finding the correct port for your printer. If you are unable to change it from the LPT1 port, uninstall and then reinstall the printer on your computer. If this does not fix it, make sure you have up to date printer driver. The driver should be available from the manufacturer's website. How do I print carbon copies with my receipt printer? 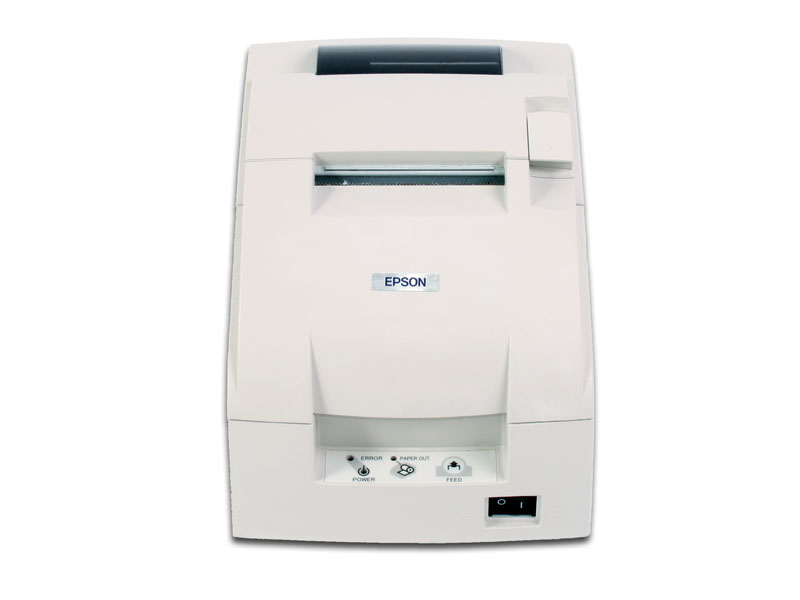 First is an impact printer like the Epson TM-U220 or the Star SP700. Can you turn off the autocutter on an Epson TM-U220? The TM-U220 features a couple of improvements on the already great TM-U200. 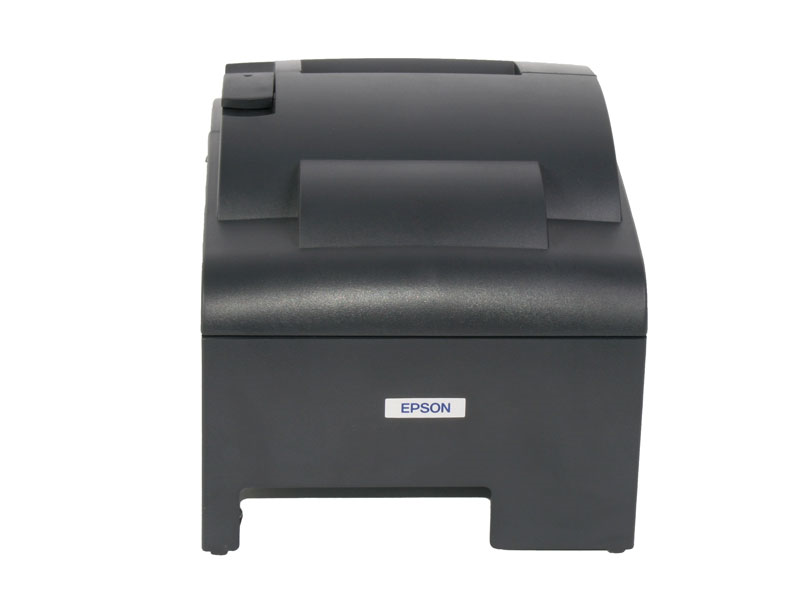 This is a great Epson impact printer with a fine warranty at a good price. Make sure you buy the correct cables. Find it faster! 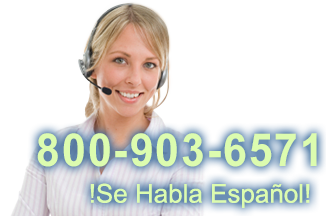 Click here to compare TM-U220 models by feature.